Friday afternoons are the least productive time of the workweek. But with the non-profit initiative Social Friday you as an entrepreneur or future professional can now do something about it on a regular basis. There are at least nine very good reasons why Social Friday will have a positive effect on your employees, your local community and on your identity as an entrepreneur. Don’t worry if you are still a student, we will give you an extra three. Social Friday will ensure, that you get the most out of your commitment. It’s also in our own interest. We will help you to help us to create a platform for social awareness, independent from any religious or political group and without any member fee. It’s a fact, Friday afternoons are the least productive time of the workweek. But with the non-profit initiative Social Friday you as an entrepreneur or future professional can now do something about it and help your local community. 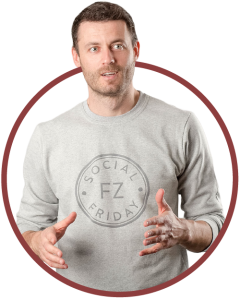 Social Friday is Cost Free! Doing good will have positive effects on your employees, your local community and on your identity as an entrepreneur. Doing good takes so little. You don’t even need us. However, our support ensures that you get the most out of your commitment.